She has just finished a critically acclaimed stint as Nancy in Oliver! at the London Palladium, released her debut album Anthems and has her first Concert which is also entitled Anthems scheduled for the Royal Albert Hall on 1st May, but now Kerry Ellis is going on tour. 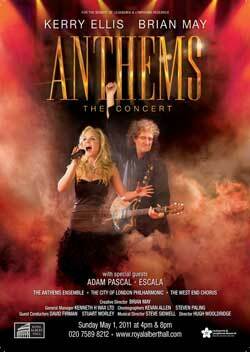 You can book tickets for Kerry Ellis's Anthems tour here.